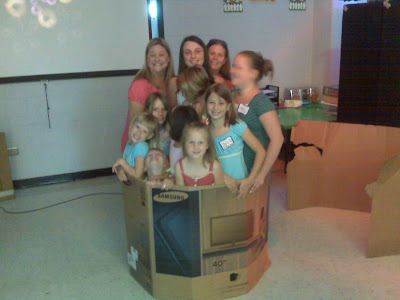 This week in children's church we talked about fitting in with family. We have moms, dads, brothers, sisters, steps, and halves. It sometime hard to keep up with them all and even harder to be nice to them! But Jesus said we should try. 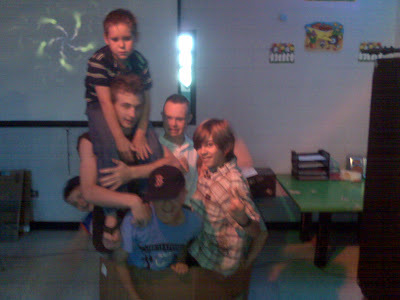 So we crammed all of the kids in a box to show that there is room for others in your life. Poor Zach in the back. He looks like he's about to fall out!! Looks like fun. Jason should do more of this. Millions would come.